DINOSAURS!Everyone loves dinosaurs! Millions and millions of dollars are spent on dinosaur movies, toys, t-shirts, and in fact, anything about dinosaurs. But let’s take a closer look at “dinosaurs” as we know them today. Sure, the fossil bones are real, but the true facts about them have been buried- replaced by theories which are positively stated as “fact” but that are really just that – theories. The sad truth is that the study of these giant fossil bones has, from the beginning, been based on the conjectures of men who have completely discarded any belief in the Biblical record. In fact, these wild theories are today taught as actual reality in our schools and universities- a strategy designed by Satan, himself, to discredit the Bible. Were Dinosaurs on the Ark?The key word in the above verse is “kind”- the Bible says that God preserved at least two of every “kind” of animal that He had created. Many people equate this word “kind” with “species”, but we believe it should instead be equated with the word “genus”. To understand these classifications, we will present one simple example. “Feline” is a “genus” classification. The “Feline genus” contains many, many “species”, such as lions, panthers, tigers, leopards, the common cat, etc. For a moment, let’s assume there were just two members of the “feline genus” on the ark. After the flood, these two cats and their offspring eventually produced every various species of cat we presently have on the earth today. And there could have been other species of felines on the earth before the flood who were not represented in the gene pool of the two cat members on the ark. If this were the case, it would be very likely that fossils of the “feline genus” could exist which are today unknown, or “extinct”. And sure enough, that’s exactly the case. Bones have been found of animals identical to those we have today, but some have been found of species which do not exist today. Take the classic case that Darwin quotes- the pigeon. He found that if the almost endless varieties of pigeons were allowed to breed together, they went back to the rock pigeon; therefore if there were seven rock pigeons in the ark, there were thousands of varieties potentially preserved. The same may be said about others, e.g., the dog. After all, we don’t have saber-toothed tigers today, do we? They are an extinct “species”, but they are of the “feline genus”, which does exist today. The bottom line is simply this- no one knows for sure exactly which species were originally created by God, and which ones are the result of cross-breeding. Scientists may claim that they know, but there is evidence that man prior to the flood had a great knowledge of genetics and were perhaps able to cross-breed and produce animals that would not normally be able to interbreed. It’s quite possible that there were not nearly as many animals on the ark as most people think. But there have always been those who refused to accept God’s truth. These men attempted to find explanations for the things around them- explanations that their feeble minds could comprehend. They rejected the idea of the Creator. In 1869, Huxley coined a name for this type of thinking- he called it “agnosticism”- the doctrine that there is no certain knowledge as to the existence of God, a future life or the essential nature of things. And who were the major adherents of this “new religion”? As we are all aware that it was Darwin who did the most to promote the idea of evolution, we see that the world today has been essentially “taught” by men who did not and do not believe in God. They believe, in a nutshell, that the earth sprang up from chaos, that this matter evolved into lower life-forms, and over millions of years there were dinosaurs and prehistoric men, and finally, here we are. Evolution became the vogue ideology of the “learned” men. And one of their great evidences for this theory is the dinosaur, whom we are today taught lived millions of years ago. So what are the real facts? The huge fossil bones said to belong to the Dinosauria are truly the largest bones ever found. Most are reptilian and lizard-like “species” that are not found today. But, they belong to “genuses” that do exist today. In fact, most of these bones are almost identical to animals which live today, with the exception of their size. But, this is a fact that you don’t hear. Simply put, the dinosaurs were gigantic reptiles and mammals for the most part. But if that’s the case, why don’t we have them today? Why were they so large back then? Unlike other animals, the reptile has no “cutoff” mechanism whereby it stops growing in size. So, even if reptiles lived only half as long as pre-flood men, we would have to expect gigantic reptiles before the flood. John MacKay once told me that crocodiles (or was it alligators?) grew at the rate of 20 or so feet per 100 years. If that’s the case, there should be giant alligators fossils, right? In 1991, alligator bones were found on the banks of the Amazon River- the skull was almost 5 feet long. Based on this, scientists estimated its height to have been 8 feet and its length 40 feet. In short, if reptiles today lived longer, they would be “dinosaurs” in a few hundred years. 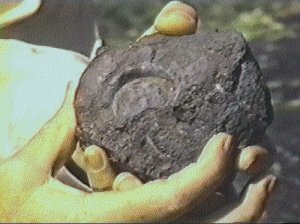 Other Giant FossilsWhat we don’t hear about are all the other giant fossils that have been found. “Giant animal fossils of many different kinds have been found all over the world. A book called Giants From the Past, published by the National Geographic Society, shows many of these huge creatures of the past no longer exist today. Fossil remains of the hornless rhinoceros indicate it was over 17 feet tall. Pigs grew to be the size of cattle; camels were over 12 feet tall; huge birds towered to a height of over 11 feet; giant beavers grew to be the size of a pig; deer antlers measured over 12 feet in width. Ground sloths which grow to the size of an average monkey today, have been found in the fossil record over 18 feet in length.” Isn’t it strange how no one feels compelled to explain where these giants fall in the “geologic time frame”? And not only the animals, but plant life was much bigger, as well as man. The giant bones of the antediluvians- both men and animals, fulfill Galileo’s observations. Scientists don’t recognize these massive bones as the same “kinds” of animals we have today because their bones are extremely massive. 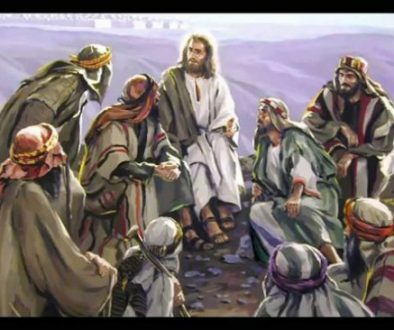 Why was Everything so much Bigger?If we go back to the Biblical account, there is some information that is critical to a proper understanding. …for the LORD God had not caused it to rain upon the earth,…6 But there went up a mist from the earth, and watered the whole face of the ground. There was no rain before the flood- a mist watered the earth. And God said, Let there be a firmament in the midst of the waters, and let it divide the waters from the waters. 7 And God made the firmament, and divided the waters which were under the firmament from the waters which were above the firmament: and it was so. What does all this mean? The answer is in the next verse: GEN 1:8 And God called the firmament Heaven. This “firmament” is here called “heaven”- does this mean the “Heaven” that contains God’s throne? No. That “Heaven” was already God’s habitation and in existence when He created the earth. This “firmament” was the atmosphere around the earth. See Psalms 78:26, 104:12, 147:8 where the same Hebrew word for “heaven” is used. But unto you that fear my name shall the Sun of righteousness arise with healing in his wings; and ye shall go forth, and grow up as calves of the stall . Funny isn’t it – the “enterprising” alligator farmers unwittingly helped prove the effect of the pre-flood environment on reptiles – accelerated growth. The Geologic ColumnBut another theory of our “learned men” has also created confusion- the theory of the geologic column. This “column” is a diagram of the various strata of the earth, assigning ages to the times when the various strata were supposedly deposited. I just love this theory, which of course is not considered a “theory” but actual fact. Why do I love it? Because it proves how gullible man really is. Let me explain- geologists are taught that the age of a strata is determined by the fossils found in it. OK, so how do you know the age of the fossils? The answer is “by the strata they are found in!” It’s all just theory- “circular reasoning”, based on the belief in evolution. And its a theory completely riddled with holes. The real facts of the matter are that the theory of evolution demands evidence of fossils of transitional specimens- “missing links”, so to speak. Yet, there are absolutely no transitional specimens to be found anywhere. Most amazing is the fact that Darwin, himself, wrote about this “fly in the ointment”: “Long before the reader has arrived at this part of my work, a crowd of difficulties will have occurred to him. Some of them are so serious that to this day I can hardly reflect on them without being in some degree staggered…. Why if species have descended from other species by fine gradations do we not see everywhere innumerable transitional forms?… Why then is not every geological formation and every stratum full of such intermediate links? Geology assuredly does not reveal any such finely-graduated organic chain and this perhaps, is the most obvious and serious objection which can be urged against the theory….” Also to be noted is the fact that nowhere does the actual strata of the earth match the “geologic column”. And the reason is simple- the theory is totally invalid. The only explanation for the various strata and fossils found in them is the explanation given in the Bible – the flood. …the same day were all the fountains of the great deep broken up, and the windows of heaven were opened. All the water contained in the earth was “broken up”- and the waters above the atmosphere came hurtling down to the earth. Now, if all this doesn’t sound particularly violent to you, think again. Before the flood, a tremendous amount of water was suspended above the atmosphere in the “canopy” and also great quantities were in aquifers in the earth. All of this water, most of which is now contained in the oceans, came exploding out and down at the same time, as we read in Gen. 7:11. The force of this cataclysm had to be far greater than any nuclear explosion man could dream of. Then, when it was over with, the entire planet was completely covered in water. All life was extinguished except for those on the ark. The tremendous currents and tidal waves would have had such force that the face of the planet was marred and scarred beyond description. All matter except the bedrock had to have been engulfed in the turmoil. To better understand, if you take a bottle of water, place soil, pebbles, grass, leaves, etc., in it and then shake it up, you can see on a tiny scale what had to have occurred. But, during the flood, it was more than soil, pebbles and grass- it was everything, including animals, men, women and children, homes,- everything on the face of the planet. Nothing would be the same after it was all over. The Earth During the FloodEverything on the earth’s surface was in liquid suspension, the only thing remaining stable being the bedrock. And in this “earth soup” were the bodies of thousands, perhaps even millions, of “dinosaurs”- some gigantic and some as small as our lizards today. As the turmoil lessened, the debris in the water began to settle. The heaviest and densest materials naturally settled to the bottom first. But, the turmoil was not consistent over the entire planet, so some areas experienced some settling before others did. Also, as the waves and currents travelled continually over the face of the earth, new debris would be washed into some areas after initial settling had begun, producing multiple settlement, or “strata”. The heaviest matter would have included uranium, the heaviest element. As this was deposited at the greatest depth, and more earth and matter settled upon it with great force, the radioactive decay of the uranium, radium and etc., caused tremendous heat at the bottom of the sediments. The rocks were melted at these sites. The water coming in contact with this tremendous heat produced incredible amounts of steam. This volcanic activity caused upheaval of the earth- great mountain chains were thrusted up. Volcanoes spouted lava in great quantities. One effect of this upheaval was that the entire equilibrium of the earth was disturbed. The delicate balance which kept the earth rotating on its axis was interrupted numerous times and the planet shifted its entire bulk, which further thrusted and tore the surface. Evidence that the earth shifted on its axis numerous times in a very short time period is proven by rocks such as magnetite. During their formation, these rocks developed lines within them which aligned with magnetic north. Magnetite specimens have been found which display as many as 10 or more different alignments, proving that during the time that the rock was cooling, the earth changed its magnetic poles at least 10 times. And during this tremendous cataclysm, some of the huge bodies of the gigantic “dinosaurs” were buried deep in the earth, along with everything else. Due to their density, many were buried in a deeper layer than the lighter animals, but not always. As the currents and waves continued, more debris was deposited, again settling out according to its weight and density. This resulted in a “layering” effect- or strata. Finally, we read that the rain stopped. As we mentioned, the story of the flood is extremely short, considering the events which occurred. And therefore, we must know that every word in the account is important. The fact that a “wind” is mentioned as passing over the earth to help dry the waters indicates that this was no little wind. In order for this wind to have any effect on the incredible amount of water on the face of the earth, it would have had to have been greater than any hurricane or tornado we can imagine. It must have been of absolutely incredible force, actually forceful enough to move masses of earth. And as this earth was moved around, some water was able to return back into the earth, and some was evaporated, but the majority of water remained in the incredibly deep chasms that now contain the oceans. And as the water receded into the earth, the fossilization of the animals buried deep in the earth began. How the Dinosaur Bones Became FossilizedHave you ever wondered why we don’t find plants and dead animals in the process of petrifying today? If, like the evolutionists want us to believe, all the fossils are from thousands and millions of years ago, why don’t we see things being fossilized today? Think about this because it’s very important. If what scientists tell us is true- that all the fossils in the earth’s layers are from various geologic times,- why aren’t things being fossilized today? The answer is simple. In order for living things to become petrified, certain circumstances must exist. The object must be buried rapidly in order to prevent deterioration through decay and rot. Today, if an animal dies in the forest or jungle, it soon decays away if it isn’t first eaten by other animals. It can’t possibly petrify unless it is preserved. 2- There must be continual water flow over and around the buried object. Petrification is the replacement of each molecule of the animal bone (for example) by mineral matter- as the water flows over the object, it washes away a molecule. Immediately a tiny mineral molecule plugs the hole left by the washed-away molecule. In this manner, even the cellular structure is sometimes perfectly preserved. The massive amount of fossils in the earth today could only have been preserved by an incredible amount of water flow over an incredible amount of rapidly-buried plants and animals. Ask any paleontologist to find you bones being petrified today- it just isn’t happening. Oh, there may be one or two recent examples, but I guarantee they are as rare as hen’s teeth. Forgeries, Lies and FantasyThe whole idea of evolution is based on the supposition that there is no God. You read Darwin’s own observation about the total absence of transitional forms. Our problem is that we no longer choose to think for ourselves. We have gotten lazy- we sit back and let the “scientist and learned men” tell us what to believe. The “learned men” who believe that life evolved from chaos and evolved over millions of years say that the similarities in different kinds of animals are the result of their evolving from a common ancestor, when in fact these very similarities are staggering proof of a common Creator. I felt literally sick the last time we went to the Smithsonian dinosaur display as I overheard parents telling their children how many millions of years ago each dinosaur lived. And then I got angry as I realized what was happening- those precious children were being taught that the Bible was a lie. That realization hit me like a ton of bricks in my face. I never felt so helpless as I did that day. How can we expect people to have faith in our precious Jesus if they cannot believe the Word of God? How Much do the Scientists Really Know?Have you ever heard of the “Piltdown Man”? Back in 1912, two men announced that they had found the so-called missing link between ape and man. Their evidence was a few pieces from a skull, a piece of a jaw, some teeth and a few other fragments. It wasn’t until 1953 that the whole affair was exposed for the elaborate hoax it really was. The fragments turned out to be parts of a human brain case, a piece of the mandible of some sort of ape, fragments of hippopotamus, deer and beaver teeth, and other fragments of elephant, mastodon and rhinoceros. It’s a long story, but its now common knowledge and well documented that it was a hoax. And it may seem harmless to you now that its been exposed. But, did you know that over 500 people obtained their PhD by writing their thesis on “the Piltdown Man”? I dare say, no one took back those PhDs after it was exposed, and those people taught hundreds of thousands of people. Then there’s the dinosaur evidence. I’ll bet most of you think that entire skeletons have been found of all the dinosaurs- after all, that’s what you see in the museums and in the science books. But that’s not exactly the case: “Many dinosaurs are so poorly known, they have been identified by only a few shed teeth, a tradition fraught with scientific problems. From just a few pointy teeth Troodon formosus…was one of the first dinosaurs named, more than a century ago….But for a century not much more of Troodon than its teeth were known. You would be very surprised and probably shocked if you knew just how little evidence some of these dinosaurs are based on. You can gain a little insight into some of the problems by reading about the early dinosaur hunters. Two of the most prominent of these were Cope and Marsh who searched for the giant fossils in the 1800’s. As two of the original “founding fathers” of this new science, they were vicious competitors. They found and named no telling how many new species of dinosaurs, but there were just a few problems with their research. It should be quite obvious by now that our “knowledge” of dinosaurs isn’t based on the most solid evidence. Most bones are found in jumbled piles, with many, many different animals being represented. As we said earlier, nearly complete specimens are extremely rare, which leaves us at the complete mercy of the person “reconstructing” the skeleton. For example, when Gideon Mantell drew his reconstruction of the skeleton of the Iguanodon, he placed the “spike-like” object on the nose, similar to the rhinoceros horn. Later, this was proved to be wrong, but the misconception persisted for many years. They have since placed this “spike” as the thumb, but who knows- this could one day change, too. The bottom line is simply this- “dinosaurs” existed alongside all the other pre-flood animals, most of which were also giants (when they were full grown) compared to the animals of today. But, the fossil bones of the dinosaurs prove that they were animals of the same genuses we have today. Many may be species that no longer survive. But, the only real knowledge we have of them is scant. Most of what you read as “fact” is actually the conjecture of those with vivid imaginations, always seeking to come up with something new and exciting. Yet, these are the very ones who scream the loudest that the Biblical account is the real theory. The real facts- the only ones we can depend on- are that these dinosaur bones are the fossil remains of animals of tremendous size; many of them reptiles which lived in an environment that allowed them to live hundreds of years, continuing to grow in size until their death. The presence of their fossilized bones in the water-laid strata bears the most incredible testimony to their utter destruction at the Hands of their Creator during the great flood. 1.,2. Man, Time and Fossils, by Ruth Moore, p. 114. 3. The New Larned History, Vol 1, p. 119. 4. Encyclopaedia Britannica, 1984, Vol. 15, p. 279. 5. Creation Ex-Nihilo, Vol. 14, No. 2. 6. The Bible-Key to Understanding the Early Earth, by McLean, Oakland and McLean, p. 59 & 60. 7. Two New Sciences, by Galileo Galilei; translated by Stillman Drake, p. 127-128. 8. The Dinosaur Heresies, by Robert T. Bakker, p. 350. 9. Origin of Species, by Charles Darwin, p. 80 & 157; quoted from A Scientific Analysis of Genesis, by Edward F. Blick. 10. Dinosaurs Rediscovered, by Don Lessem, p. 29. 11. The Day of the Dinosaur, by de Camp and de Camp, p. 121. 12. Dinosaurs Rediscovered, p. 38. 13. The Day of the Dinosaur, p. 223. 14. Dinosaurs Rediscovered, p. 174. 15. Ibid., p. 277. 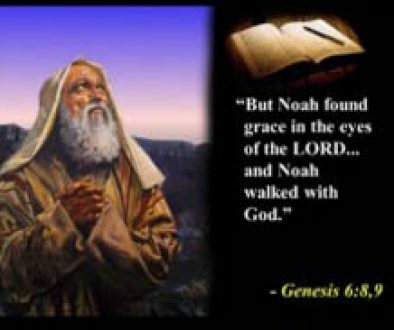 Questions & Answers on Noah’s ArkNOAH’S ARKLast year, an article appeared in the Australian creationist magazine, “Ex-Nihilo”, in which the authors attempted to discredit the ark. I wrote a rebuttal, providing certain documents as evidence that the writers of this article did not check out the facts. Thus far, we have only given this rebuttal to a couple of people- those who asked for it — and one of those “inquiring minds” was Andrew Jones. We have spoken to Andrew on numerous occasions, and he is checking these things out as thoroughly as anyone we have met to date — and he is, I believe (correct me if I’m wrong, Andrew) 16 or 17 years old. Anyhow, Andrew sent a copy of our rebuttal to David Fasold, who called us and asked if he could reproduce it in his newsletter. Of course, that was fine with us — and so we felt that we should include an edited version in ours — we are, however, unable to include the 20 pages of accompanying documentation, and have to limit it severely. RESPONSE- In the NATO surveys of this area of Turkey, which were done in the 1950’s, every inch of this section of eastern Turkey was photographed by high-altitude aircraft. The region is within 20 miles of the Russian border and a Soviet missile base. These photographs were taken so that it could later be determined if missiles had been moved into the area by comparing current photos with the earlier ones. Suffice it to say, every inch of ground was thoroughly photographed and documented, especially the remote areas of Greater and Lesser Ararat, which could provide excellent hiding places. 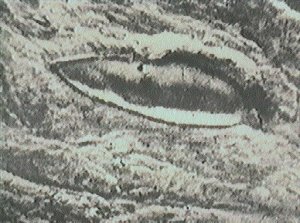 When the photograph that showed the “boat-like” shape was noticed, Dr. Arthur Brandenberger, the world’s leading authority on stereo planography, said: “I have no doubt at all that the object is a ship. In my entire career I have never seen an object like this in a stereo photo.” (See Rene Noorbergen’s book, “The Ark File”.) Had there been any other formations even remotely similar in shape, these would have been detected in these surveys, which were very carefully examined. Careful examination of the photo presented in the article will show that it has been touched up. This has been verified by the person who did the touch-up work. But to further respond to this allegation of other similar boat-shapes in the area, part of the research done by Ron Wyatt and his associates was a careful examination of other areas which had a superficially similar appearance. So here, on nationwide television, Dr. Baumgardner clearly states that the site he, Ron, David and the others in the team were working on was unique. The tape referred to is of the 1985-6 field expeditions. RESPONSE- In 1988, Ray Brubaker, of “God’s News Behind the News” in St. Petersburg, FL., asked an electrical engineer to research Ron’s claims. This independent, non-biased research on the part of Terry Johnson of Tampa, FL, included research on the molecular frequency generator. “The device is essentially a frequency generator (Ron’s first was a HeathKit) that is linked with a frequency counter – this enables the user to set different frequencies for the different types of metal the user wishes to locate. The signal is then amplified and propagated electromagnetically through the ground. When it hits the target metal, this excites its electron spin resonance, and this resonance causes an electromagnetic disturbance which propagates from the target metal back to the sender. The user receives this electromagnet wave back onto his body. In this device, the human body is used as a living conductor or antenna in the same way your reception improves when you touch the rabbit ears or antenna contact on the back of your television. The receiver holds in his hands, two wands that attract to each other when the electromagnetic field of his body is disturbed in the proper direction. The human body has two electromagnetic fields – one positive, one negative. In Ron’s case, he used a battery and coils to increase this body field. In the “Filter King” device,…the wands are specially selected to be more responsive to the electromagnet disturbance…. Also, the EX NIHILO article condemning this device gives no names of the scientists who supposedly built and tested these devices. This instrument is not “divining” but works on very solid scientific principles. Many scientists, archaeologists, engineers, etc. use them. The molecular frequency generator we use is manufactured by Cochran and Associates of Bowling Green, Ky. and costs $6,500.00 — quite a high price for a “divining rod”. Also, the location of metal on the site with the molecular frequency generator was identical to those located by ferromagnetic and pulse induction detectors, as well as the sub-surface interface radar. So, if you want to eliminate the molecular frequency generator scans, the results are still the same. RESPONSE- Again, let us stress that this author never had access to any of our research- he only received secondhand reports from various people. To prove that other scans were done, we have attached a copy of one of Ron’s radar permits from 1987 (below). This is positive proof that there were scans that these people have no idea about. And there were numerous scans, not just one. We do not ask nor expect GSSI, nor any other research facility, to conclude that the evidence proves it to be Noah’s Ark- we simply state their conclusions as to what the tests or evidence represent, such as the fact that the radar scans definitely indicate man-made structure. When Joe Rosetta viewed the data, he was shown the video of the scan in progress on the site. So he, as well as Tom Fenner, not only saw the results of the scans, but also the work in progress with the scan results being printed as the scan took place. When Ron went to GSSI, he videotaped the entire process of their interpreting the scan results, and we have that video in our possession. 6) CLAIM THAT THE DECK TIMBER ISN’T VERIFIED: Page 31- The claim is made that the deck timber has not been tested, etc. We have extensive testing done on this sample, most of which will remain confidential until we are finished working. However, we can positively prove that the lab tests prove it to contain organic carbon, and that it has been examined by thin section under electron microscope. RESPONSE- In our forthcoming video, will be seen testing on the deck timber at Galbraith Labs: testing for total carbon, which includes both organic and inorganic, and then testing for only inorganic. The presence of organic carbon is proven by subtracting the total of inorganic carbon from the total carbon. 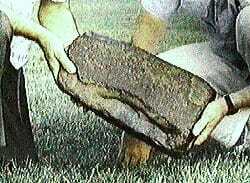 The result is the amount of organic carbon. This test, which is only one of the numerous testing done on this deck timber, shows that there was .7019% organic carbon in the timber. The presence of any organic carbon proves the object was not a rock, but does contain once-living matter (.7100% total carbon less .0081% inorganic carbon = .7019% organic carbon). The timber was taken to Teledyne-Allvac labs where it was examined by electron microscope in 1992. I personally videotaped the entire process, including the entire process with the electron microscope – filming the screens as they were viewed. We have all of these results filed along with photographs of the thin sections, etc. We also have a very large number of witnesses as well, as Richard Rives of Matthews, NC accompanied us, and numerous personnel of Teledyne witnessed the work and are all on video. As a scientist, he isn’t going to report to Los Alamos Labs something he doesn’t know to be fact. “…not only most emphatically does not support this and other claims, but is at pains to dissociate himself from almost all of Wyatt’s claims about the site, expressing grave doubts about how much of Wyatt’s `evidence’ actually found its way on to the site”. RESPONSE- In late July of 1992, I personally was with Ron when he met with Dr. Bayraktutan in Erzurum, Turkey in the dining room of the Grand Erzurum Hotel. I witnessed the entire conversation and personally asked him questions about certain things. Salih Bayraktutan is on the Noah’s Ark Commission, but he isn’t the head of it. Ron deals directly with the various ministries in Ankara. As to the accusation that Ron’s samples “made their way on to the site”, we have a signed statement from witnesses who were present (our 1990 tour group) when Ron found the fossilized rivet. I, myself, found the animal hairs; Greg Brewer found the antler; Dr. Nathan Meyers found one of the chunks of ballast – none of these were found secretly- all were in the presence of numerous people.9) CLAIM THAT THE RIVET IS JUST “BASALT”: PAGE 32- Claims are made to try to discredit the fossilized rivet found by Ron. They try to “explain” it as being basalt. The significance of this is: one sample was taken of the actual metal rivet. This section was tested twice and showed carbon content of .14% and .13%. Then, a mere cm. away, a sample was taken of the area around the metal impression. This showed carbon content of 1.88% and 1.97% in the two tests done on it. This shows that within a cm., we have an area that contains almost 15 times more carbon as 1 cm adjacent to it! Whether these folks want to admit it or not, this is as positive evidence as you can get that this fossilized object- whatever it is, even if a person wants to reject it being a rivet- this is evidence that it is 2 distinct structures. One with minute amounts of carbon in it, while right next to it, an object with 15 times more carbon in it- enough to have been once living matter. Much more evidence on this rivet will be revealed only after Ron is completely through with his research, including the presence of organic carbon, which is not present in basalt. 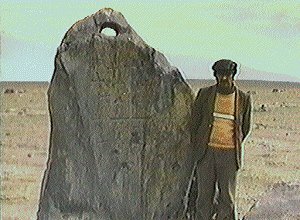 10) CLAIM THAT THE ANCHOR STONES WERE ACTUALLY MADE BY ARMENIANS: PAGE 34- Efforts are made to discredit the anchor stones, saying they were made by Armenians, etc. They claim that there is evidence that these once had other inscriptions on them besides the crosses, and that these pagan inscriptions were removed at a later date and replaced by Christian crosses. They also claim these are again, basalt. RESPONSE The most interesting thing about this report is that they mention numerous people and scientists who have “examined” this and that, but no names are ever given. Not too many people have actually seen these anchor stones. Many of these stones, no one has seen but Ron because he is the only person who knows where they are. The article produces no photos showing any signs of “earlier defacement”. We have hundreds of closeup photos and video of all of these anchor stones, and none of them show any sign of earlier defacement. We also have video where, in 1988, we applied ultraviolet paint to these stones in order to be able to photograph cracks in the stones which would not be visible to the naked eye. We contacted Kodak in Rochester NY who sent us complete information on the procedure. We purchased a special light for viewing the stones with the ultraviolet sensitive liquid on the stones. This procedure is used, for example, by Egyptologists who are checking for earlier inscriptions on ancient Egyptian monuments. The liquid seeps into microscopic cracks, which are revealed when the ultraviolet light is shone on the surface. Now, I personally applied the liquid during the daylight. We returned to the sites in the dead of night where we examined these, photographed them and videotaped them. There is positively no evidence for any earlier defacement on any of these stones that any of us have seen. We will release a photocopy of a photograph of one of the anchor stones Ron found which is still partially buried in the earth and is just now becoming visible (see color photo page.) Apparently it was buried in the mud when it was dropped. Only now is the earth eroding away from it enough for it to become visible. We have 3 of these documented and none of them have crosses carved on them, yet they all had the hole at the top (one is broken off). This disproves the old theory that the Armenians made them and carved the inscriptions on them at the time they made them. So far, neither we nor the Turkish scientists have not been able to find any record of anything like these inscribed anchor stones anywhere else. And the Turks ought to know! The crosses carved on them are of two styles- Byzantine and Crusader. This shows that these people identified the stones with holes in them with eight people. The upright stone in the village of Kazan has more than eight crosses on it. Close examination of these do show that some crosses were carved at a later date, for the algae is not growing on these later crosses as it does in the original crosses. As to the type of rock that these are made of, since we can’t bring one home, we can’t prove the type they are made of any more than can the unnamed persons who “examined these” in the report. We will document the taking of a small sample of one of them so that there will be no doubt as to the validity of the sample when it is verified by scientific testing. RESPONSE- In fact this certainly has been done. We have in our possession photos and lab analyses which John Baumgardner had done at Los Alamos of numerous samples. One of these samples was of the ballast material. In his own handwriting, Dr. Baumgardner wrote on the report: “tailing of aluminum aloid production” and signed it “John Baumgardner, Los Alamos”. He sent these reports to Ron and we have them on file. As to the claim by John Morris that these are simply manganese nodules, like those found on the floor of the Pacific Ocean, this can be easily disproved. First of all, these aren’t on the Pacific floor! In one of our analyses, we have an 84% manganese content and in another, 87%. In the Encyclopaedia Britannica, 1985 ed., it states that manganese nodules found in the sea are normally about 35% manganese, with high concentrations being 50%! Also, those found on the ocean floor contain significant amounts of copper (2.5%). Our sample contains less than .03% copper. 12) CLAIM THAT TURKEY DOES NOT RECOGNIZE THE SITE: PAGE 35- Claims are made that no Turkish announcement has been made about Noah’s Ark. RESPONSE- Attached (right) you will find a copy of the Turkish newspaper article in the “Hurriyet”, the largest Turkish newspaper, dated June 21, 1987. 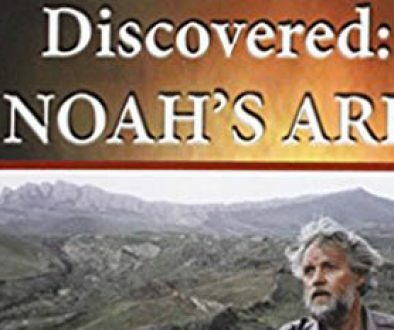 It is translated in the front of Ron’s book, “Discovered- Noah’s Ark, but you may want to have your own done. Also, Turkish tourism literature, which we picked up in Ankara in August of 1989, as well as later years, advertises Noah’s Ark, complete with a photograph of the site. As to the highway, at the dedication ceremony on June 20, 1987, at which Ron was guest of honor, plans were shown him of the visitors center and of the planned highway. David Fasold mentions this in his newsletter. This highway was not to go up into the mountain to the actual ark site- it was to lead to the cutoff that leads up into the mountain. The Turks had anticipated a great influx of tourists to the area and the present road was insufficient to handle the expected traffic, especially of buses. However, because of the extreme attacks by the Mt. Ararat ark hunters, the US tourists never came to pass, at least not in large numbers. The road construction began in 1988 and was never completed. Then, the area became quite dangerous for tourists due to terrorist activity. Our statements made about the road construction were based on what the Turks told Ron and David Fasold. We documented the beginning of the highway construction in 1989 on video, where they moved all the power and telephone lines over, and actually began laying asphalt that was in places 14-18” deep. But when we returned in 1990, it was not completed. A newspaper article about the Turks’ acceptance of the site as Noah’s Ark is criticized in the article simply because it was in a Nashville newspaper- the implication being that the reporter was biased. However, the reporter spoke personally with Turkish officials in both New York and Ankara. He also interviewed John Baumgardner for the article. 13) CLAIM THAT LATER WORK DISPROVED THE SITE: PAGE 36- This section attempts to use geologic survey work done in 1987 and 1988 by John Baumgardner with Dr. Bayraktutan to prove that this isn’t Noah’s Ark, or that it is even man-made structure. Prior to this article, we received a lot of phone calls from people in Australia trying to get us to reveal certain evidences. We will not be bullied into revealing all of our research until we are finished with our work. We suspect that this was one of the reasons for this article, since these people had been trying to get us to reveal things we would not reveal to them. We show evidences that we have released, in our presentations, including lab work in progress, etc. The writer of this article doesn’t even give the names of so-called “scientists” who claim to have examined the anchor stones and built molecular frequency generators. Several people who once believed so strongly that this was Noah’s Ark have fallen under the pressure from these types of people who wrote this article. Scientists and leading people of a community who step out and make a statement that they believe something like Noah’s Ark are alienated from their scientific community. Many are not willing to chance losing their livelihood, and this is a choice that they have made. This is why you probably will never find a scientist or archaeologist in this country who will make such a statement. But scientific “fact” is always “fact” no matter how different people may interpret it. We gather this “scientific fact” and as it accumulates, we apply it to the Biblical account. We present it as we believe it to be, based on that accumulation of “facts”. Whether a person accepts our conclusion is up to them.